Ms R is very prone to having sore throat. It usually lasts about 1 week. The doctor would prescribe antibiotics that costs RM7/pill. At 2 pills a day over 5 days, the cost of the medicine alone is already RM70. Recently, when she felt the onset of scratchy sensation in her throat which usually precedes sore throat, she consumed a total of 6 sachets Lactoberry probiotics, split over 3 times during the day. When she woke up the next day, all was fine. No sore throat and no antibiotics. A 29 year old lady used to fall sick easily. She would be on sick leave twice a month. She underwent a 1 month Detox Program by taking 12 capsules Yung Kien Ganoderma + 24 capsules Yung Kien Pollen daily. One of her healing reactions is bowel movement a few times a day. Since then, she has not fallen sick for a few months already, as she has a better Immune System now. It must have been the rain, the sun, the heat or whatever. I came down with high fever yesterday evening. I felt so cold while in the shower (despite the hot water), my bones felt achy and my body was burning hot. I took a total of 12 capsules Yung Kien Ganoderma and had an early night after my dinner appointment. It was difficult to sleep as my body was scorching hot. I tossed and turned for 2-3 hours. Amazingly, when I woke up this morning, my fever has completely disappeared. 12 is indeed the magic number, to give therapeutic effect. The brother of Ms S came down with fever. It subsided after medicine from doctor but flared up again a few days later. Second visit to the clinic - Doctor gave him an injection and the fever went down. A few days later it recurred and he was hospitalised. Meantime, his platelet count yo-yo up and down. Doctor said it wasn't dengue. Doctor suspected it's some sort of viral attack. He was discharged after 3 days. Doctor gave him 5 types of medication which he has to take for 10 days. Ms S called me for help after he was discharged. I recommended him to consume 12 capsules Yung Kien Ganoderma a day, divided into 3 times, and eaten before meals. Result: His fever was under control, his platelet count was back to normal by the 2nd day and he went back to work few days after that. He is perfectly fine now. I was in Korea for holidays. The winter weather was extremely cold. The temperature was below freezing. I came back sick with a bad runny nose. My nose was dripping uncontrollably the whole day and I had to wipe it non-stop. My dustbin was filled up with so many tissue papers. I took 4 capsules Yung Kien Ganoderma + 8 capsules Yung Kien Pollen each time, 3 times a day. I drank a lot of water and rested a lot. After 3 days of such dosage, when I woke up on Day 4, my nose had suddenly stopped dripping. It was completely clear. I am very happy that my recovery time is so short and it happened so quickly. 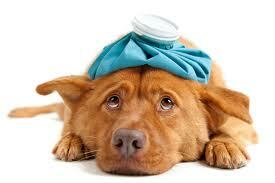 Ms L was sick recently - her lips were swollen and she had sore throat, fever, headache and joint pain. Boil 10 sachets Luchun Lingzhi Tea and drink it continuously the whole day. Dissolve 6-8 sachets Lactoberry probiotics in 500 ml water and finish it immediately. 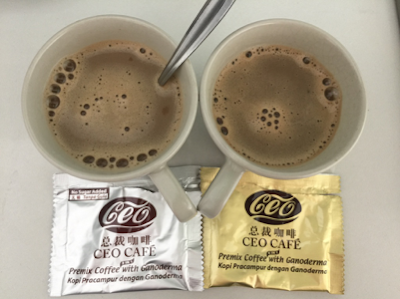 Consume 6 capsules Yung Kien Ganoderma + 6-8 sachets Jia Hor Instant Soya Protein Powder daily. She recovered after 4-5 days. She had more frequent bowel movements of 2-3 times a day. The color of her swollen lips started to lighten as she got better. Because of consuming higher dosage of Jia Hor Soya Protein, the bonus is her skin texture looks better too. Ms T's brother used to fall sick easily, his nose was regularly blocked (where he can only breath through one side) and he would feel dizzy if he stands up too quickly. He drinks 2 sachets Luchun Lingzhi Tea daily. After 6 months, he noticed that he doesn't fall sick so easily since, his nose is not as blocked up as before and his blood circulation is better as he no longer feels dizzy when he stands up suddenly. 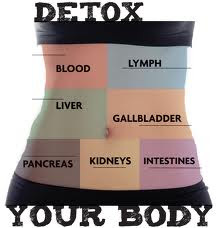 Ms E underwent a Detox Program by consuming 12 capsules Yung Kien Ganoderma + 24 capsules Yung Kien Pollen for 2 months. Healing reaction - she had more bowel movement and addressed her constipation problem. Now she seldom falls sick. When she does, she just takes about 3 to 4 days to recover. Since Ms C was in Std 3, she was in and out of the hospital for almost 6 years. Her urination was unusual and thus caused inflammation to her kidney. She consumed 10 different types of medicine everyday. She had 3 feeding tubes on her arm and wrist, for the blood test and medicine. Her body was weakened because of so much consumption of medication over those 6 years. When she started working, she did not practise good lifestyle as she used to sleep late and had an unhealthy diet. Her menstrual pain was so serious that she would vomit on the first day of her menses. She also suffered from gastric pain. And again, she took many types of medicine. When she was 25 years old, her hormone imbalance problem got worse. She had very heavy and thick vaginal discharge. The doctor she consulted in Gleneagles hospital said the problem is normal. She suffered this problem for 2 years. But when she was introduced to Shuang Hor products, after consuming only 2 sets of Lingzhi and Pollen, she recovered from the period pain and gastric problems. She then continued with her bad lifestyle habits. When she was 29 years old on Feb 2013, she was diagnosed with Bell's Palsy. One day before, her right eye twitched the whole day. When she woke up the next day, half of her face sagged and was paralysed. She could not close her eyes and she could not talk. The doctor whom she consulted in SJMC said it was due to her very low immune system and stress. It is a virus attack on the 7th nerve of her face. He prescribed her with 12 capsules of steroids and 8 capsules of antibiotics for 2 weeks which cost her RM800. The side effects were water retention, weight gain and hair loss. She sought a second opinion in Sunway. The doctor gave the same prescription. The antibiotics given is for chicken pox because there is nothing else to prescribe and it is the usual prescription for patients with Bell's Palsy problem. She decided not to take the medication. Instead, she decided to consume 10 capsules Yung Kien Ganoderma2 + 2-4 sachets Yung Kien Pollen + 2 sachets Vitaking + 6 sachets Jia Hor Soya Protein + 6 sachets Lactoberry daily, for 1 month. The reason why she took such high dosage was because she was very scared. The high dose gave her more confidence. Week 1 - she could not sleep well. As she did not take painkillers, she would be awakened around 2-3 am, when she felt a very painful biting sensation by the virus from the head to her shoulder. She would use a cellophane to tape her eye when sleeping as she could not close her eye. The eye kept tearing and food drooled out of her mouth. She would cry from the pain. During those times, she took Lingzhi and Vitaking to help reduce the pain. She had more bowel movements with very dark stools. Even though she didn't have many hours of sleep, she still felt very energetic and had good skin complexion. Week 2 - She slept almost the whole day as she felt extremely tired. The pain started to reduce. She still could not swallow properly (as her mouth could not close properly). She would sip the products shake using a straw. After 1 month, a check with the doctor confirmed she was 80% recovered. People who do not know would not be able to see that she had suffered from Bell's Palsy. She reduced her dosage to 6 capsules Yung Kien Ganoderma. After about 1 year, there was no more pain even when she applied pressure on her cheek. She has 2 friends who also suffered from Bell's Palsy. They decided to take Western medicine. They suffered the side effects of putting on weight, vomiting and feeling dizzy. Subsequently, they suffered a relapse and half of their faces still have not recovered until now. 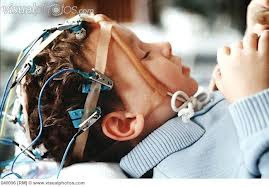 Ms F’s friend has a 3-year old boy who was diagnosed as autistic and exhibits hyperactive behavior. After 2 years of consuming 2 capsules Jia Hor Lingzhi + 5 capsules Yung Kien Pollen + 2 sachets Jia Hor Soya Protein a day, Ms F reports that he behaves pretty much like a normal child now. He can attend normal school, although at 1 grade lower. A single mother’s child contracted high fever when she was 1 year old. The fever damaged her brain cells; she contracted Epilepsy. She used to have epileptic fits as many as 200 to 300 times per day. When the child was 5 years old, she consumed Lingzhi at high dose. For the first 6 months, the dosage increased from 4 Lingzhi to 30 Lingzhi per day. Subsequently, the dosage was reduced to 12, then 6 Lingzhi per day. She suffered an increase in epileptic fits as part of her Healing Reaction. After 1 year, the mother was able to reduce the doctor’s epilepsy medication. Now at 7 years old, the girl can walk, talk, and is more focused. Lingzhi helps protect her brain cells to make sure they don’t die so fast. Ms J’s 76-year old father is a chain smoker and drinker. 2 years ago, he exhibited Parkinson’s symptoms – shaky hands and uncontrollable mouth movements. One day when he felt very giddy and couldn’t walk straight, he went to the hospital for treatment. The doctor suspected it’s most likely due to degeneration of brain cells (rather than tumor in the brain or a virus attack). Her father was prescribed with anti-giddiness medication for 1 week. At the same time, he also consumed 40 capsules Yung Kien Ganoderma + 40 capsules Yung Kien Pollen daily. After 2 weeks, he was no longer giddy. He felt good and looked perfectly normal. The doctor advised it’s not necessary to scan his brain for tumor because even if tumor is detected, a surgery is too high risk for his age. Thankfully, he has Lingzhi to protect his remaining brain cells and slow down their deterioration process. He now consumes a maintenance dosage of 4 to 6 Lingzhi per day.